Enjoy this spacious and beautifully maintained 2 bedroom, 1.5 bath, 1,001sf condo. 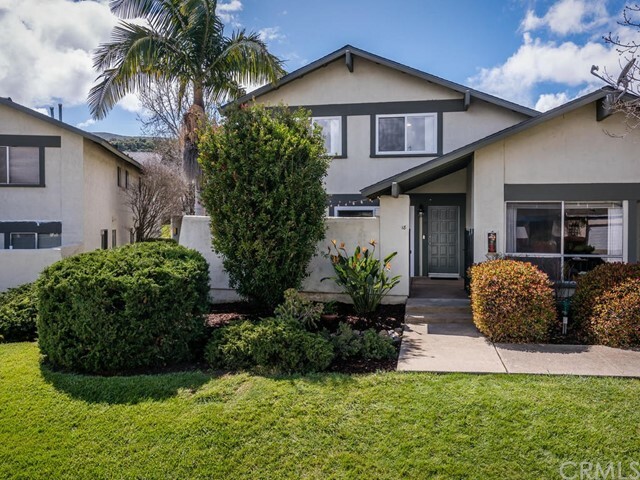 With views of the fabulous San Luis Obispo Morros, this bright and updated home features fresh paint, new RevWood flooring, newer dual pane windows and slider door, LED recessed lighting, Casablanca ceiling fans in both bedrooms, new fixtures, newer furnace, newer water heater and more. This condo has an excellent floor plan with front and side entrances plus a slider door that leads to an enclosed and private outdoor patio with decorative concrete. Meander around the grounds and enjoy swimming in the private complex pool. There is street parking in front of the unit and a neighborhood park is close by. With city bus stops down the street, this property is close to hiking trails, beaches, wineries, a golf course, shopping, restaurants and schools. Priced to sell, this property wont last long. Information not verified.